Failure to monitor properly baby heart rates during labour is one reason why some newborns are dying on UK maternity wards, an investigation has found. 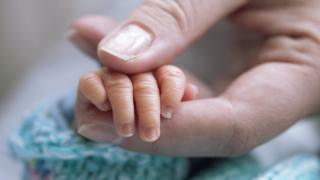 The Each Baby Counts inquiry, by the Royal College of Obstetricians and Gynaecologists, looked at more than 700 recent neonatal deaths and injuries. It says three in every four of the babies may have had a different outcome had they received different care. The detailed report outlines how to prevent such tragedies in future. "Although the UK remains one of the safest places to give birth, serious incidents do occur, some of which could be prevented if different care were given," says the report. Local investigations into a quarter of the cases were not thorough enough to allow the report authors to do a full assessment of what might have gone wrong. In many of the 727 cases that could be reviewed in-depth, problems with accurate assessment of foetal wellbeing during labour and consistent issues with staff understanding and processing of complex situations, including interpreting baby heart-rate patterns (on traces from CTG machines), were cited as significant factors. Parents were invited to be involved in only a third of the local reviews, the report found. Alfie Field was left with brain damage and later died after doctors failed to spot problems with his heart rate during labour. His mum, Kym Field, from Cambridgeshire, recalls: "As soon as Alfie was born he was handed to paediatric doctors. He was then briefly shown to us before being whisked away. "The next morning we were told there was nothing more they could do for our perfect baby boy. "Details were sparse but we were told he had no brain activity. We had to say goodbye before we even had the chance to say hello. It was, to this day, the hardest thing we have ever had to do. Instead of organising a date for family to come and meet our perfect new bundle, we arranged his funeral." An inquest into Alfie's death at Addenbrooke's Hospital heard opportunities to deliver him sooner were missed. "Our baby's death was down to a collection of errors and negligence. "No family should ever have to go through what we have." Co-principal investigator, Prof Zarko Alfirevic, consultant obstetrician at Liverpool Women's Hospital, said: "We urge everyone working in maternity care to ensure the report's recommendations are followed at all times." Prof Lesley Regan, president of the RCOG, added: "The fact that a quarter of reports are still of such poor quality that we are unable to draw conclusions about the quality of the care provided is unacceptable and must be improved as a matter of urgency." Janet Scott, from the stillbirth and neonatal death charity Sands, said the report findings were deeply concerning. "We urge trusts, health boards and governments across the UK to ensure the levels of support and resourcing needed to bring this about urgently." In October 2016, the government launched a Maternity Safety Action Plan to provide resources for trusts to improve their approach to maternity safety, including an £8m fund for maternity safety training. Health Secretary Jeremy Hunt said: "While maternal and neonatal deaths are falling, together we need to do even more to make sure fewer families suffer the heartache of losing a baby - and this vital work will help."